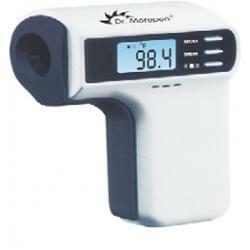 Dr Morepen FS 300 Thermofinder Non-Contact Infrared Thermometer is available for purchase in increments of 1. Thermometer is an essential medical device that every home needs. 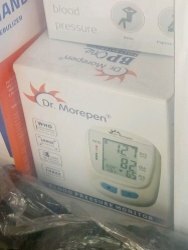 If you are planning to purchase a reliable thermometer of accuracy, the Dr. Morepen thermostat infrared thermometer is an ideal one.Gone are the days when you have to struggle with the normal thermometer to wait until it reaches zero and clean it before next use. - Mercury-free (100 percent safe).